« Who is a squatter? The following piece is by Mike Pentelow and was originally posted on the Fitzrovia News blog. 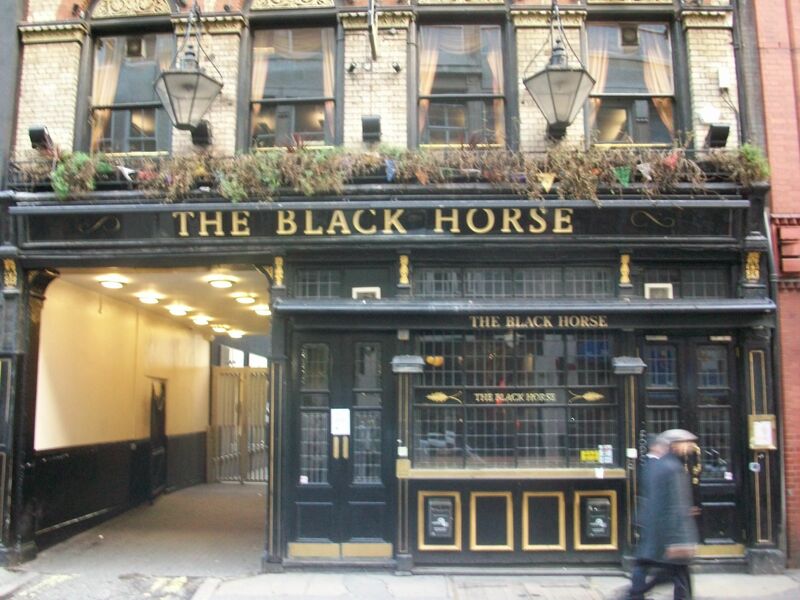 The Really Free School squats in Guy Richie’s house in Fitzroy Square and then the Black Horse in Rathbone Place hit the headlines a few months ago. In fact these follow in a long tradition of squatting in the area. In the 1880s the painter Walter Sickert (1860-1942) squatted at 21 Cleveland Street (after being thrown out of Slade art school in Gower Street). This squat was later demolished to make way for an extension to the Middlesex Hospital, which in turn has recently been demolished. The squat was opposite where 22 Cleveland Street is. In 1946 many homeless people squatted in local hotels. One of the leaders was John Morten (1912-1998) who following the squat was housed at 9 Chenies Street for the rest of his life. That was after he was charged with mutiny and then fined £10 (at least two weeks’ wages in those days) for obstruction. He was a member of the Communist Party. In the 1960s Goodge Place was squatted by hippies, including poet and author Heathcote Williams who shared a room with a stripper and her snake. In 1974 about 80 people squatted in Centre Point after property speculators had made huge profits by keeping it empty for 11 years. Clifford Harper, now a Fitzrovia News illustrator, was one of them. It lasted two days and ended with a rally of 3,000 people. An attempt by Camden council to compulsorily purchase 24 flats on the property was rejected by the Law Lords. Another squat in Tolmers Square, just north east of Warren Street station, lasted a couple of years until it was demolished in 1977 to make way for council housing. In 1980 pop singers Boy George and Marilyn were among those who squatted at 21 Carburton Street before achieving fame. There were other squats in Warren Street and Great Titchfield Street at the same time. Later in the 1980s Goodge Place was squatted again. One of the squatters was Jean Blache, who became a Fitzrovia Neighbourhood Association activist and volunteer.